Greetings from the Capital Region Interfaith Housing Initiative. It is a pleasure to be here with you in declaring our firm support for this recent update to Edmonton’s plan to end homelessness. 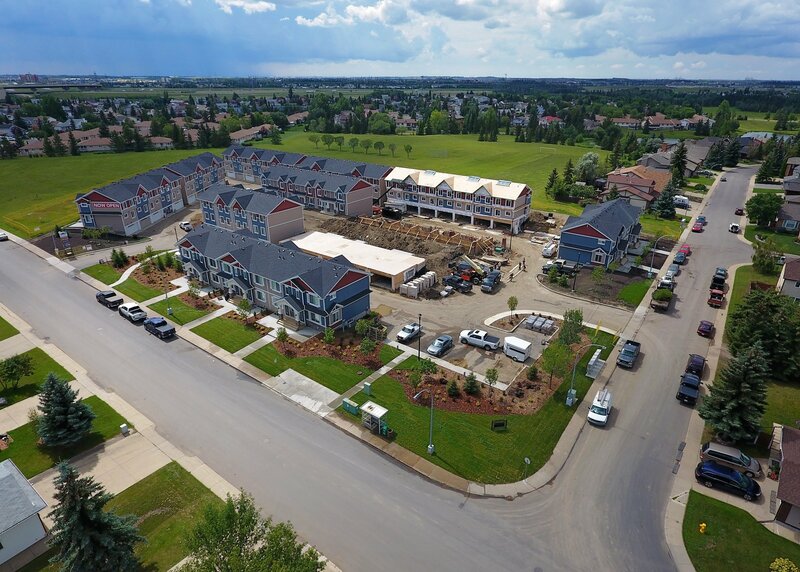 The Interfaith Housing Initiative began eight years ago as Edmonton began this work with A Place to Call Home; the ten year plan. As you, the city committed to this task, faith communities also stood up to say, ‘This is important to us too! How can we help? We are Roman Catholics, Muslims, Sikhs, Unitarians, Anglicans, United Church, Christian Reformed, Zoroastrian, Evangelical, Lutherans, Jewish and Hindu… [we could go on for a while]. We were here in year one, and at year eight, we are still here continuing to work beside you, because there are many things we do not agree on, but we do all agree on the need to love our neighbour, and to care for our neighbour. At a stakeholder luncheon hosted by Archbishop Richard Smith last week, he spoke to the group; noting that after eight years, it is clear that the work is not done and neither are we. So we stand here today in support of this update to the plan. It is absolutely critical that we together find the heart, the resources, and the courage to pursue a wise and compassionate response, and see it done well. Let me highlight a few things in the update that resonate deeply with what we see. Early on, we recognized a need showing up in the Housing First approach. One of the biggest reasons people were failing in the program was loneliness. They had a home and were getting help and supports to recover from addictions and trauma, or overcome mental illnesses; like trying to claw their way up a mountain, and in many cases, they felt like they were doing it alone. So we helped develop a program called Welcome Home that matched a few volunteers to come alongside sincerely as a friend; to go for coffee or a long walk, to make that phone call just to check in, to commit to being in regular contact and support for at least a year. And we are happy to say that this program continues to be very meaningful for both participant and volunteer; with many friendships going well past that one year! But then their time with Housing First might run out, and without the continuing supports our friend was back on the street. Needless to say, it was very discouraging for everyone involved! So we, along with many others raised our concerns… and we are happy to see that the new update hears and answers them; identifying the need for greater Permanent Intensive Case Management Resources, and its strong emphasis on filling the paralyzing gap in Permanent Supportive Housing. These long-term helps and supports are critical for people who have been battling numerous complex and chronic barriers. And we have seen how places like Ambrose Place and Grand Manor and other PSH facilities provide real places of real hope and healing for our most vulnerable. And on that front, we continue to work hard with you. Finding new land and welcoming communities as home for all this Permanent Supportive Housing is very difficult and complex work. We are bringing the challenge of finding land to faith communities, and some are answering that call. We have been hosting workshops in communities around the city, helping local neighbourhoods generate wisdom on what a healthy response to new neighbours and new units of affordable housing look like. We want you to know that there are many very reasonable and constructive communities out there, and they have a lot of great wisdom and insight to bring to the table. And most recently, we have embarked on a partnership with End Poverty Edmonton, and possibly Edmonton Federation of Community Leagues to develop effective community consultation resources to aid developers and local neighbourhoods in sitting down together. People of Faith have been at this a long time, and we want you to know we are still here and ready to go another round. Let’s get this right together. Several years ago, St. Patrick’s Anglican Church began exploring a way to minister to their community. Today, they’re doing it! Come join us as we learn from their story. How can we meet local needs? How can we be better agents of the gospel? The St. Patrick’s community in Mill Woods took these questions seriously, and began exploring some meaningful answers: Their first movement was to host a foodbank depot, but in a short period of time local needs changed, and they were informed that there was no longer need for an additional depot in Mill Woods. That forced them back to the dreaming board. They considered some of the limitations of their facility and the space. Their kitchen was not licensed, so any community kitchen or food security initiative was not possible. They also didn’t have a huge volunteer core during the day to run programming. Partner to offer classes for newcomers for integration and community literacy. Alpha Marriage Course or the Alpha Parenting Children Course with a particular focus around lone parenting. The congregation chose #1. According to Rev. Kevin Kraglund, this decision came as something of a surprise to the committee as they had favoured one of the other options. “But as we took ownership, it became clear that this was God’s direction for us.” So, in partnership with the Edmonton Mennonite Centre for Newcomers, they began the work of helping newcomers to Canada, with an intentional focus to help seniors. The Church started out by supporting a three month course. They paid for instructors and provided their space as a home to the program. Then they looked for opportunities of intersection with the church; sharing the occasional meal, or opportunities for celebration or service. One joint project was to hand-knit toques and other gifts for the homeless. St Patrick’s invited newcomers to one of their monthly Leprechaun Lunches, as pictured below. Today, they host literacy classes, English language studies, and a program to help with cultural literacy; helping people integrate into Canada. Part of their program involves field trips, such as a trip to Ft. Edmonton Park, and another to learn how the city does waste management. They invited City Councillor, Mohinder Banga to come talk about how to engage in Civic Politics, and they have hosted sessions on homelessness and poverty. They also open up their space on a regular basis to host local job fairs. They’ve had everyone from PCL to Victoria’s Secret, 7-eleven, Winners, and HomeSense. They don’t have a huge space, but enough to host two employers at a time for an explanation of opportunities along with initial job interviews. What’s happening as a result? Rev. Kraglund tells the story of a frantic knock on the door: “Pastor, Pastor! I had an interview here at the job fair, and now I have a second. Can you pray for me?” Coming alongside people in journeys of hardship has opened up opportunities for real ministry. The need for prayer is a strong thread in the work, but so is the need for relationship and for advice. “Let’s go pray together and talk about this.” It’s a frequent phrase uttered in a space people feel safe to find help and counsel. Their journey as a faith community to meaningful community ministry has had challenges and taken some sacrifice, but they are seeing it bear real fruit in the lives of both they and their neighbours. And that makes the work very rewarding for everyone! About thirty of us filled the community room at the Edmonton Native Healing Centre on July 6, 2017 for this event created as a collaboration between Interfaith Housing Initiative and End Poverty Edmonton. Guests for the event came from a host of different faith backgrounds including Jewish, Quaker, Catholic, Anglican, Christian Reformed, Methodist, Unitarian, United, Presbyterian, Eastern Orthodox, Zoroastrian, Hindu, and three leaders from Muslim communities. Elder Francis Whiskeyjack welcomed us with a smudge and some words of wisdom. Then a pair from Kairos led us through the blanket exercise, intended to help us experience North American from an indigenous perspective. We stood together and watched the land disappear from beneath our feet, and our people gradually lost or separated from us. It was very powerful and very moving; full of grief and loss. Following that experience, Francis Whiskeyjack led us into a talking circle where we had the opportunity to respond to what we heard together. Expressions of shock and grief were mingled with those of compassion and hope. By the end of our conversation, numerous suggestions had been made to help us in our continuing walk together on Turtle Island. Some of these were recorded as words of wisdom by the group on cards and sheets highlighting the need to listen and understand; to treat each other with love, dignity and respect. To be humble and appreciative of the perspectives and abilities of others. Other ideas we had were to make opportunities like this available in the languages of newcomer communities. We thought this might help them understand some of the history in their new home, and help them consider how they too can join our walk together in this place. What’s Your Wisdom on Affordable Housing? – Mill Woods! CRIHI is hosting a workshop on Affordable Housing in Mill Woods on Saturday, April 29 from 1-4pm. We have invited local community leagues and neighbours, faith communities, and local service providers. If you call Mill Woods your home, or your faith community is rooted there, or you have friends and neighbours living in this area, please encourage them to participate. We have much to learn from each other when we take time to listen and share ideas and perspectives. The Muslim Community will be providing refreshments for the workshop, and we look forward to tasting their hospitality. We hope for a strong and diverse turnout of people and voices, so we can generate some good community wisdom together!